"We routinely train with regional allies and partners, but it is a rare opportunity for my team to work with the Royal Navy," said Cmdr. Allison Christy, McCampbell's commanding officer. 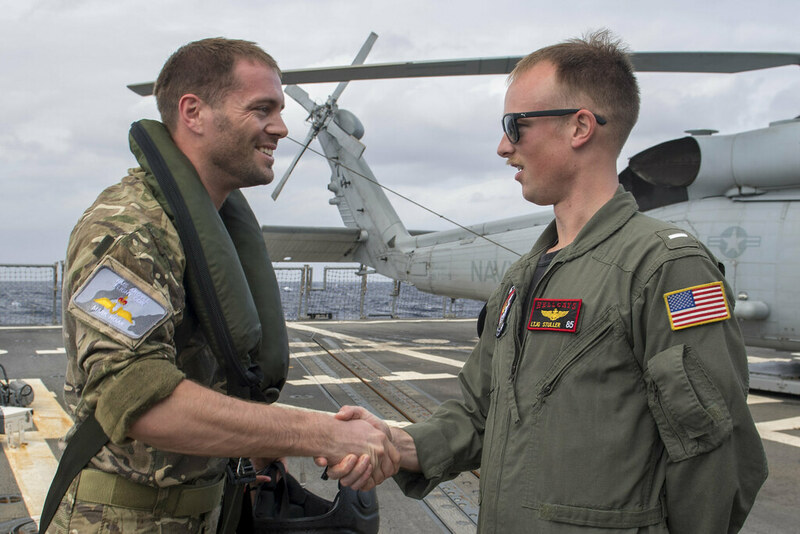 "Professional engagement with our British counterparts allows us the opportunity to build upon our existing strong relationships and learn from each other." 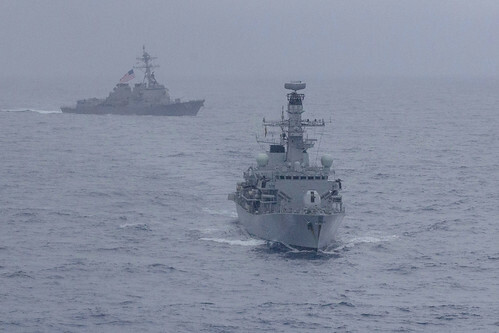 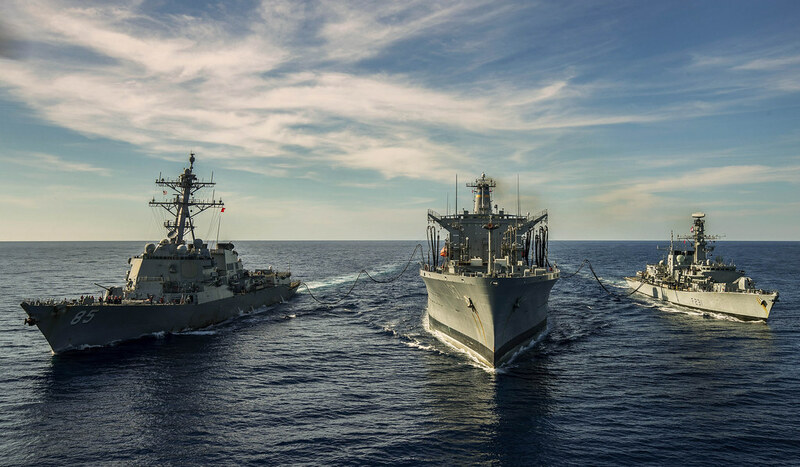 "Following on from our successful time in North East Asia, contributing to promoting regional security and prosperity, we are pleased with the opportunity to train alongside our closest ally," said Cmdr. Toby Shaughnessy, Argyll's commanding officer.